Optical process sensors bring a new kind of certainty to your production line. They combine all the most wanted and needed features in beverage production. They are maintenance-free, have a small footprint, and are certified hygienic (EHEDG). During production, time and costs are crucial factors. Thus, all parameters which influence these two factors are under strict observation and continuous optimization. For process optimization and process control a wide range of process instrumentation is applied. 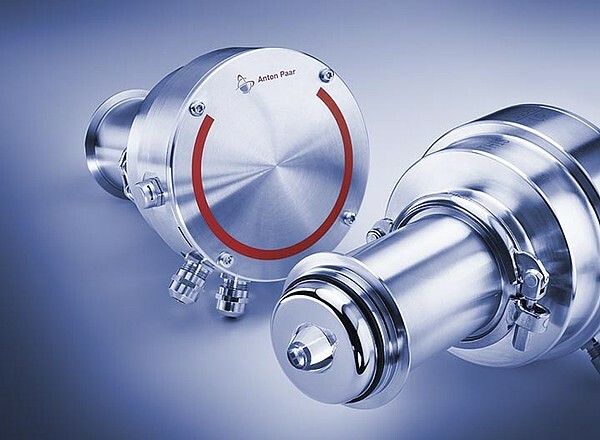 Depending on its use, the specific process sensor has to fulfill many requirements, including compliance with legal regulations and also meeting users’ requirements, such as minimum total costs of ownership (TCO), little to no maintenance, fast measurement, accurate and reliable results, hygienic design, and many more. Optical sensors have proven to stand for all these properties, offering a neat solution for straightforward use and direct measurement of parameters during production. Immediate start of measurement right out of the box, no manual adjustment necessary. Ensure hygienic process conditions: sensors fulfilling all requirements of the EHEDG design guidelines make regular cleaning convenient. Always an eye on your product: the inline measurement happens directly where production takes place, ensuring you the necessary awareness. Save time and gain certainty with easy comparison to the laboratory reference by linking both areas with the Davis 5 software. Suiting your specific application needs with decades of process knowledge packed inside the sensors. 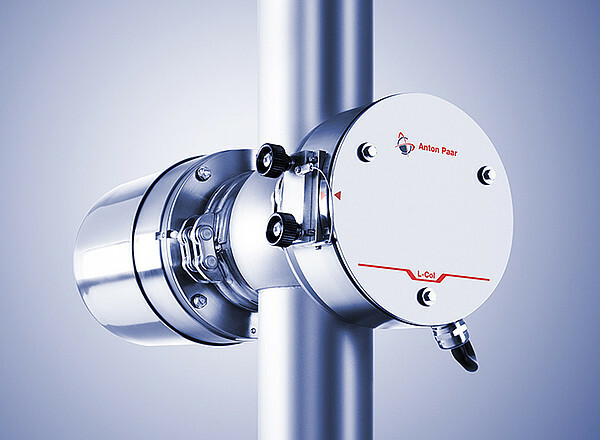 With optical sensors from Anton Paar you always keep an eye on your production and your production parameters – continuously and reliably. Please click on the name of the product you are interested in or contact us directly. Carbonation is a key element in the taste and perceived freshness of a beverage. Having the right concentration of dissolved CO2 in the beverage is therefore essential. 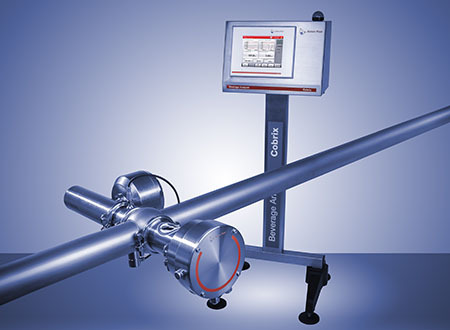 Carbo 520 Optical is based on the optical principle called Attenuated Total Reflection (ATR) and comes with a unique model for exact CO2 concentration measurement which is not influenced by the turbidity, color, sugar, or other contents of the medium. Oxy 510 is based on the optical principle called fluorescence phase shift. This principle enables you to determine dissolved oxygen (DO) independent of the medium and other dissolved gases. Oxy 510 is equipped with Toolmaster™ and the Statemaster feature to ensure proper functioning during the process. With one sensor two measuring ranges (the trace range and wide range) can be served by simply changing the sensor caps. L-Rix 510/520 can be immersed directly in the production liquid. It continuously displays the refractive index or sugar concentration at the process temperature allowing 24-hour production control. L-Rix 510/520 uses soldered optics, which dramatically extends the instrument’s service life, increases reliability and safety, and reduces costs. The units can operate for more than 100,000 hours without requiring any maintenance. Once adjusted at Anton Paar’s headquarters, L-Rix 510/520 operates with the stored adjustment values for its entire lifetime. L-Rix 510/520 is not influenced by stray light which enables measurement in production lines with see-through windows. Cobrix 5600 represents a universal system for all beverage parameters. It measures all types of your current and future soft drinks, beers, and alcoholic beverages. The Cobrix 5600 system provides the highest accuracy and repeatability in the market for measuring %Diet or TA and key parameters like CO2, O2, °Brix, sugar inversion, alcohol, and many more. Benefit from a unique combination of real-time optical CO2 and sugar (Brix) measurement in one sensor. 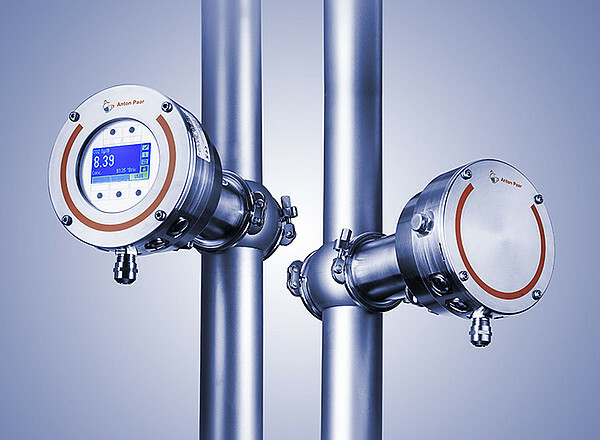 Cobrix 2600 Sensor only needs one VARIVENT®N connection of the process line for maintenance-free CO2 and dissolved sugar measurement. The sensor is EHEDG-certified (Type EL Class 1) and designed to be ready for measurement right after CIP/SIP. Following the concept of process analytical technology (PAT), Cobrix 2600 Sensor measures single parameters instead of sum parameters with the cutting-edge optical measuring principle ATR (attenuated total reflection) determining dissolved CO2 and dissolved sugar in one go. 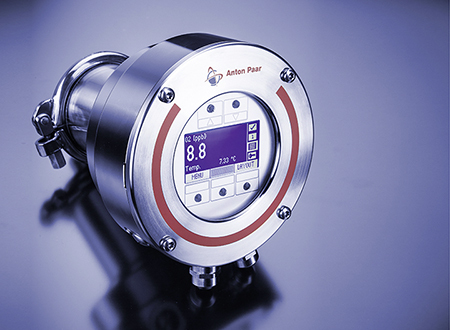 The L-Col 6100 color sensor is ideal for use with Anton Paar’s inline beverage analyzers. 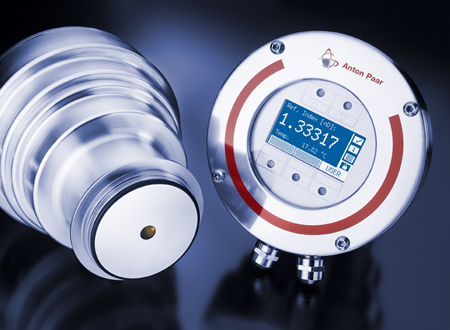 Optionally implemented in new or existing installations it further extends the key parameter determination in all kinds of beverages. The color measurement is compliant to MEBAK® and includes turbidity compensation. It allows monitoring of the color of beer, wine, soft drinks, spirits, and liqueurs during the entire production process.